If your Check Engine Light is illuminated or flashing, it is time to take a trip down to Road Runner Auto Care in Apple Valley, California. 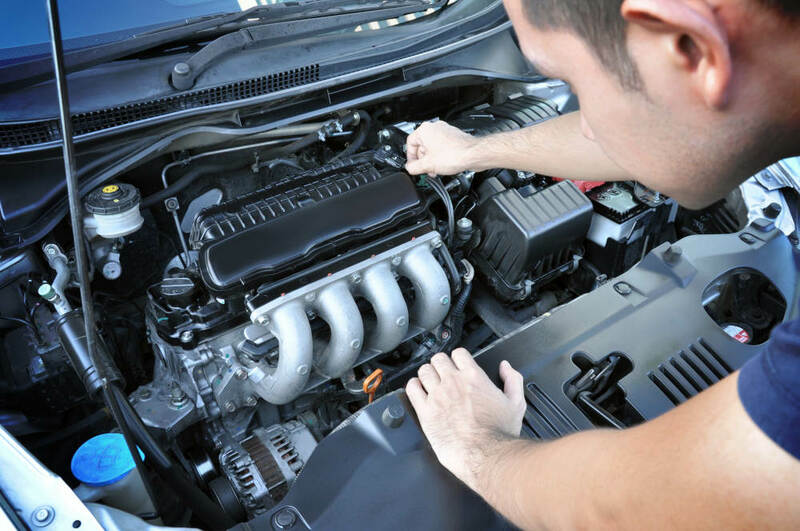 Here at Road Runner Auto Care, we are focused on pinpointing your electromechanical problems with accuracy. The problem that many mechanics struggle with is applying the diagnostic coding to a specific problem. It is easy to give general suggestions on a path that may fix the problem. But, it is only the top mechanics who can say with certainty that this part or that needs fixing. Road Runner Auto Care doesn’t bait our customers into endless repairs with unqualified guesstimates. We do testing to eliminate diverse issues before installing new parts in a vehicle. It is only the most neglected vehicles that can cause even the top mechanics to scratch their heads. If your vehicle is not being cared for with regular maintenance by a professional mechanic after the factory warranty expires, then you are putting yourself at risk of developing one of those headscratcher problems. Your car is worth its weight in scrap metal and perhaps a few select parts if it doesn’t run. It is easy for even late-model vehicles to develop electrical problems that will permanently disable them. The cost to diagnose and correct complex electrical problems may be more than what a new car would set you back in some cases. Having a team of specialists in your Apple Valley neighborhood to decode those misleading Check Engine Light faults ensures your safety on the road. There is nothing more dangerous than a sputtering car that cuts out as you are making a turn or pulling out into dense traffic. 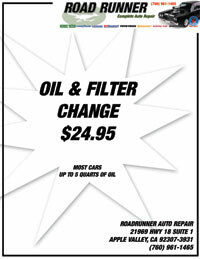 Here at Road Runner Auto Care in Apple Valley, we take the Diagnostic Trouble Codes (DTCs) and relate them to the running problems and various failures in the vehicle. We have the years of experience, resources, and training necessary to determine the root cause of the problem. When your Check Engine Light illuminates or flashes, it usually has something to do with the performance of the drivetrain. In some cases, it can be a burned out heater on an oxygen sensor. In other cases, you may have wiring damage to your transmission if it is accompanied with shifting problems. But, in some cases, the codes only give us some vague clues and require wisdom to understand. Nevertheless, in the end, Road Runner Auto Care is committed to saving you the inconveniences of lapsed auto care in the Apple Valley region.